Today I thought I would give you an update on my various projects. 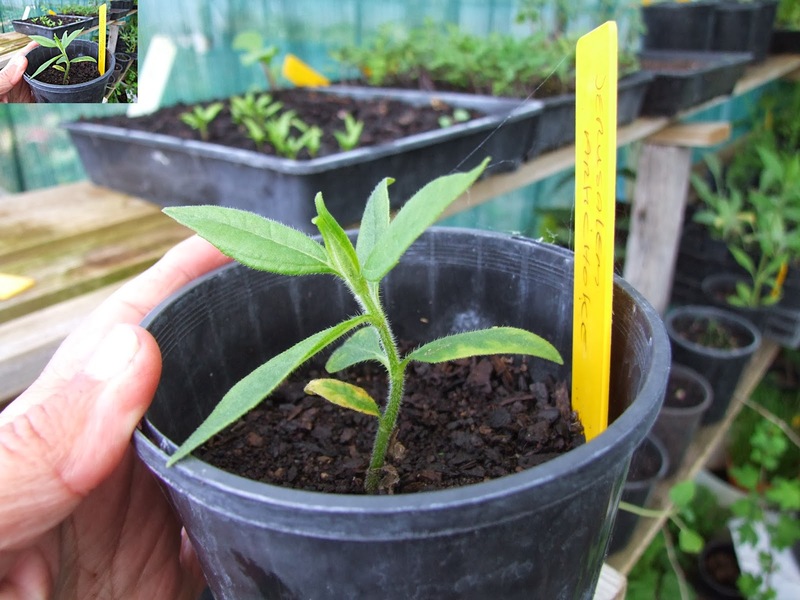 Jerusalem artichoke - Last season I managed to get two seeds from my artichokes and this one seedling was the result. With a seedling I should be able to produce more seed producing plants which may possibly lead to plants I can select for various traits. With the limited varieties available in Australia I have to jump at any chance I can. This seedling will be planted into a bigger pot tomorrow as it will be a bit cooler for a few days. 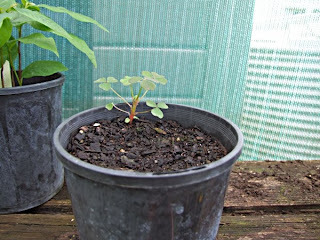 Oca - A forum friend sent me some oca seeds some months ago and I only managed to get one seedling (pictured) from that lot so I bought some more seed a few weeks ago. He was also kind enough to send me 3 TINY, very rare ulluco seeds. I put them all in the same pot as I am not counting on any of the ulluco seeds to germinate, they rarely do, Today I can see a wee tiny seedling. I hope it is an oca seedling and not a weed. 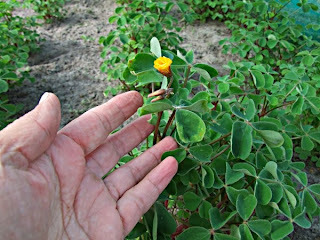 Out on J block I found that some of my oca are flowering, that was a surprise. It is probably a combination of the cool, wet spring and being under shadecloth. These are looking happy and healthy under their bed covers. I have started giving two oca plants only 8 hours of light a day to see if I can get them to tuberise early. In a couple of weeks I will plunge them into total darkness. 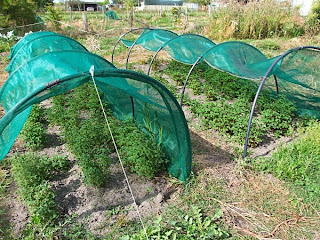 Carrots - My 'Saturn' variety and the purple parisians are starting to flower in their respective blocks. I am impatient to see what the next generation will look like. Water saving crystals - For those of you who are new to my blog, I have two beds side by side to test the effectiveness of water saving crystals. Both beds contain a mix of silverbeet and amaranth and only one bed has the crystals dug into the soil. Because there is still a bit of moisture in the soil there is no real difference in the growth of the plants at this time. Later I will also check for worms and other soil organisms. It may be just one oca, but it looks strong and healthy. Don't give up on the rest - some take much longer to germinate than others. Also, don't give up on the ulluco even if it doesn't sprout this year. 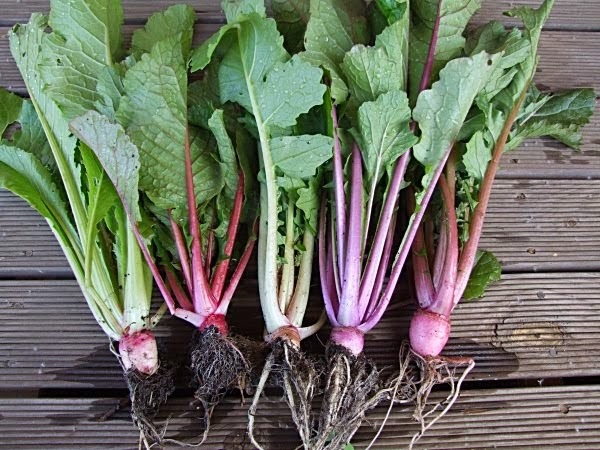 In the Univeristy of Turku experiments, some took up to two years to germinate! Don't worry Bill, the ulluco are too precious so this pot will be looked after for a long, long time even if I don't see any growth, lol. I read that report, it was quite interesting.